Fortunately more and more people of all ages and backgrounds are learning languages today. In fact more than half of the world’s population is bilingual or multilingual. So what are those who speak only one language missing out on? Learning a language is a great way to keep your brain healthy and sharp. Being bilingual can improve a person’s multitasking skills, attention control, problem solving and creativity as it promotes outside-the-box thinking. It can also help improve your memory – handy when shopping and remembering people’s names! 2. It can give children an academic advantage. Studies have shown that bilingual children can outperform monolingual children in a number of subject areas. The effects of bilingualism can help improve a child’s educational development, cognitive functions, social skills, literacy, and emotional skills that have positive effects for many years to come. 3. Increase awareness of other cultures. Being bilingual exposes an individual to diverse customs, ideas, and perspectives from different cultures. Of course, you can still learn about other cultures without knowing a second language, but language learning really allows for a more immersive experience. 4. Make travel easier and more enjoyable. If you are or aspire to be a globetrotter, learning languages is a must! Traveling is way more fun and easier when there isn’t a language barrier, you can have a more immersive and authentic experience. You’ll be able to talk directly with the locals and make more friends along the way. Knowing what food to order without pointing at pictures and asking for directions when you get lost is also a bonus. 5. Improve competitiveness in the job market. Speaking a second language can provide more job opportunities, depending on which languages you speak. 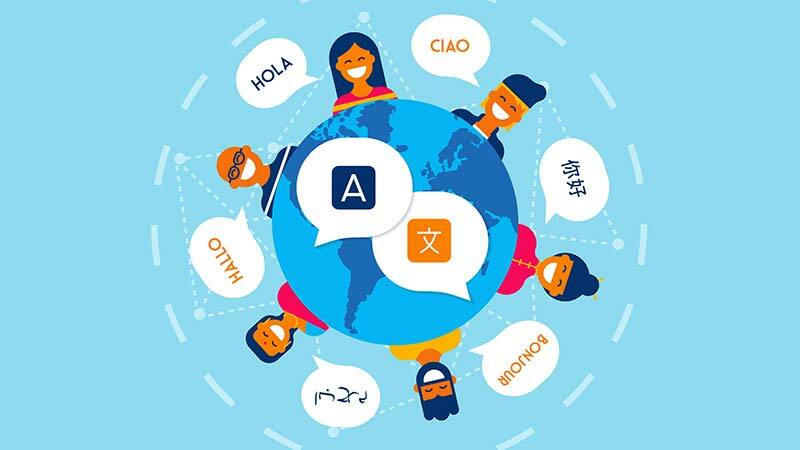 Communication in the workplace is important, and more companies, especially those with international offices, are considering bilingualism a high priority. Being able to communicate with foreign clients or customers is considered a big advantage too. 6. Find it easier to learn a third language. Learning a second language helps you reflect on your own language and gain a better aptitude for languages in general. The improved understanding of how language works, coupled with the experience you have already gained, makes it all the easier to learn a third or fourth language. Just look at Queen Elizabeth I. 7. You can better raise your kids bilingual. Raising your kids to be bilingual may help them acknowledge the importance of their culture and heritage, as well as develop a stronger personal identity. It’s a great gift to be able to pass on to your children especially if the home language is different to the language taught at school. If you have simply learned a second language, this knowledge can be a big help in encouraging your children to become bilingual too. 8. Stay mentally stronger for longer. Recent studies reveal that bilingual people’s brains age more slowly and therefore they live longer and more satisfying lives. It is now widely recognized that being bilingual can delay neurological diseases like dementia and Alzheimer’s. Speaking a second language opens up a whole new range of social opportunities and can enhance your social skills and confidence. Put simply, the more languages you understand, the more people you can converse with and the more meaningful those relationships can be. As you use your language skills to connect with a wider range people, you’ll give a boost to your confidence in social situations more generally. 10. It can make you more attractive! Being bilingual should boost your confidence in the dating market. A Valentine’s Day survey done by language software providers Rocket Languages revealed that 79% of people think someone who is bilingual is more attractive while 77% perceive people as more intelligent if they speak another language. OK, not exactly scientific proof, but interesting nonetheless! So based on those 10 great reasons to learn a second language, why not download and try the Unuhi App for free on iOS and Android and start reading bilingual books to your children today.